Missouri’s 116-member House Republican Caucus heard a positive message Monday from a congressman who served in the Legislature for eight years in Jefferson City. 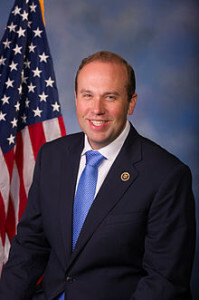 Missouri Congressman Jason Smith (R-Salem) was elected to Congress in a 2013 special election. He was re-elected in 2014 and in 2016. Smith spoke at the Statehouse on Monday afternoon. 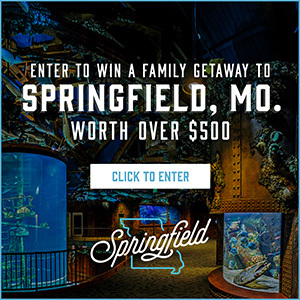 “And I want them to know that we need to have a significant partnership at the federal level to the state level to try to push what’s important to the people of Missouri,” Smith says. Smith, a former House Speaker Pro Tem, says being a state representative is not easy. He served in the Missouri House from 2005 to 2013. Smith says the best government is that which is closest to the people. After his presentation in a House hearing room, Congressman Smith spoke to Missourinet about his appearance and about several other issues, ranging from President Donald Trump to southeast Missouri politics to last week’s deadly tornado in Perry County. Smith, the House GOP Conference Secretary, says “there has to be” an investigation into President Trump’s Twitter allegation that former President Barack Obama (D) had Trump’s “wires tapped” in Trump Tower just before the November election. The “Washington Post” reports President Trump (R) has provided no proof to back up his allegation. Congressman Smith credits the late Congressman Bill Emerson for building the Republican Party in southeast Missouri. Smith says that southeast Missouri was solidly blue when Emerson upset Congressman Bill Burlison (D) in 1980. Smith notes there are currently no Democratic state senators in his sprawling district and only one Democratic State Rep: Ben Harris (D-Hillsboro). Smith praises Harris, saying that he’s a friend and a “huge fighter” for agriculture issues. Smith also discussed Perryville. He says more than 100 homes were damaged by last week’s EF4 tornado in Perry County, which killed one person. Smith traveled from Washington to Perryville to tour the devastation. “But to see the community come out and show their support for one another and to clean up and to stand right beside each other shows what Missouri’s all about, and that really warms your heart,” says Smith. The National Weather Service’s Paducah office says peak winds were 180 miles per hour and that the tornado’s path length was more than 50 miles. Smith says dozens of people could have died. Smith represents 30 counties in southeast and south-central Missouri in the Congress.